This photo taken by the birthday girl, while in her new ENO hammock. She hauled her school books out there and said that it was a little more productive and “a little less noisy.” She gets to use her new ENO on an upcoming camping trip with our church youth group. And when the weather turns cold we have big plans for making it a semi-permanent fixture in her bedroom. 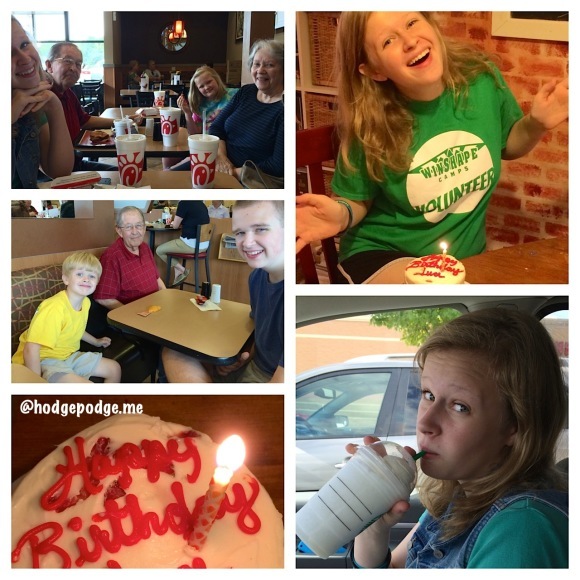 Like many homeschoolers, we take the day off for birthdays. That means we have five built in celebratory days each school year! And, each time, there always seems to be some sort of educational aspect. Isn’t that always the case? This time we celebrated a 17-year-old. Now, how many more times will we have this privilege?? So, the birthday girl wanted to go spend some birthday money at the Lifeway Christian Store. Love that place! We also got to meet Grandma and Grandpa for lunch at Chick-fil-a. Nana brought a personal-sized strawberry cake from Gabriel’s Desserts. Then the birthday girl and I got to run through the Starbuck’s drive thru for her vanilla bean frappa later that afternoon! 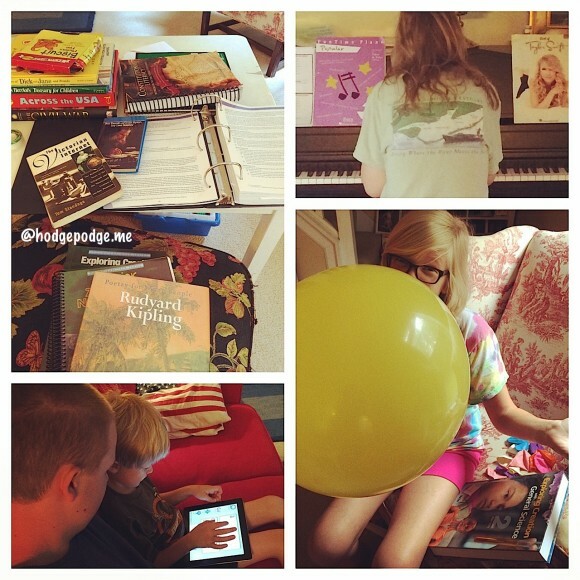 A collage of Monday’s homeschool morning. Take advantage of unstructured and spontaneous time. 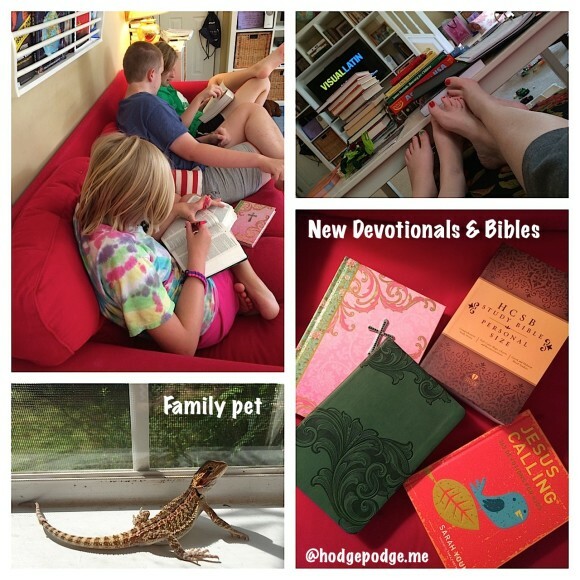 Like Bible study on the couch with all three eldest children – comparing Bible translations. Not only did Eldest Girl find some great music and books at Lifeway, Eldest Boy found himself a new study Bible. One he really has been needing and it was on sale. Middle Girl found herself a new Bible as well. The cover on her Bible had fallen off (nice problem to have since it proves it has gotten good use!) She also found a journal to match for just $5! Eldest Girl has been carrying a journal with her Bible to take sermon, Bible study and Sunday school lesson notes. So, Middle Girl is following her example. We also found a new devotional for the family – Jesus Calling for Kids – an update to our Bible Study and Character Training for Multiple Ages. We also take advantage of the comfortable family room couches for Visual Latin viewing (photo above by Eldest Girl). And I don’t think I have ever introduced you to our newest addition to the Hodgepodge. Oswald is a bearded dragon. Middle Girl bought him with her own money when she and went on our mother/daughter 12-year-old trip to St. Simons Island back at the end of July. She saw him in a shop down there at the St. Simons Pier Village. I was hesitant, of course. A pet requires a good deal of care. But it has been about two years since we lost our beloved marmalade kitty. So, after much discussion with Hodgepodgedad, we decided that Middle Girl should do some research. And that she did. She researched everything there was to know about bearded dragons. Then she presented her ‘case’ for pet ownership to both me and to her Daddy. She truly has been a great pet owner – and I have not had to feed or take care of him one time. 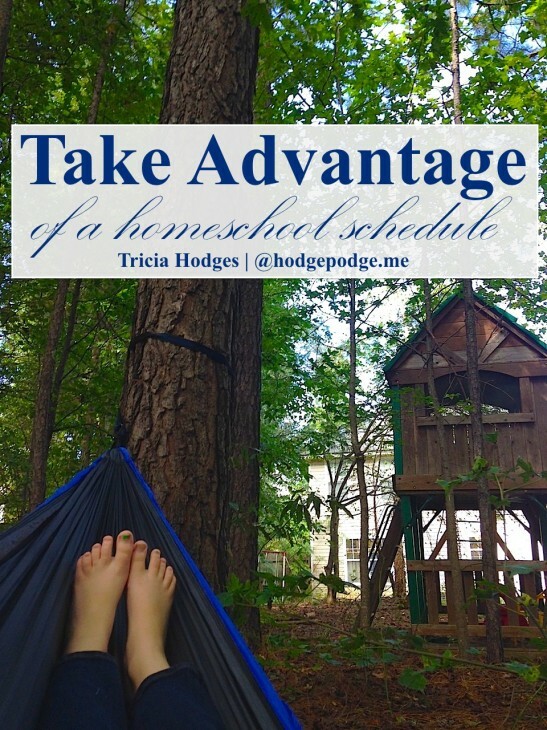 Take advantage of a hodgepodge of flexible homeschool scheduling: 1. Pancakes piling up on Monday morning | 2. Surprise lunch time visit from great-grandmother! | 3. Football chalk pastel art late in the morning (new this week!) | 4. Silly selfies in the family van while out on the birthday. Take advantage of local ball games! 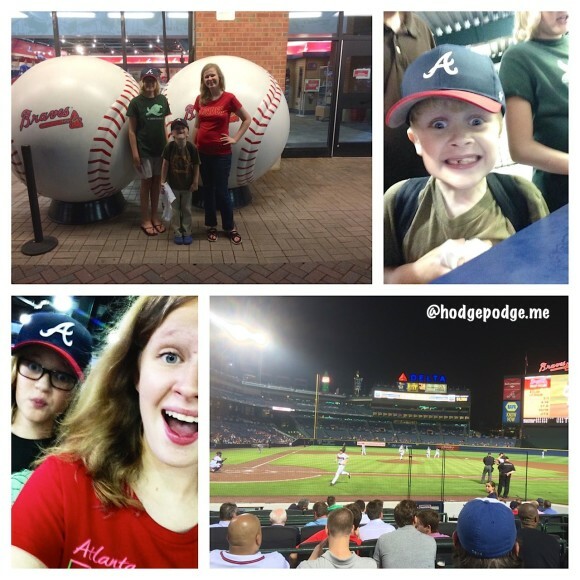 Hodgepodgedad was given Braves baseball tickets by a coworker. He took three of ours to the game Monday night. A first time for all three! As you can tell, someone was especially excited! 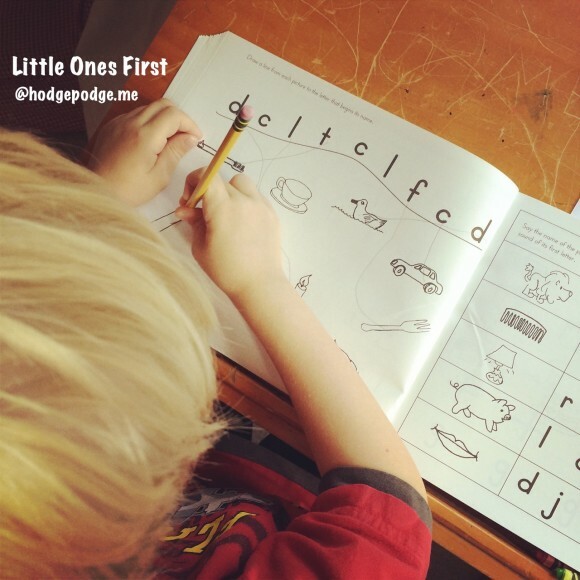 The Freedom of a Homeschool Schedule – Guess what? Grandma and Grandpa are here! And since we haven’t seen them in a little under two years we are making the most of it! Toss the books aside? No, no. We’ll just alter the schedule a bit. Make sure we get our math in. 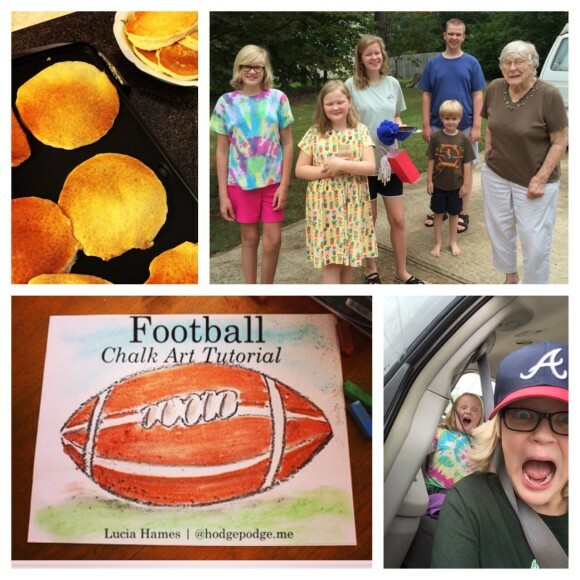 The Heart of Homeschool – It hit me. The mess on the floor, the grumpy attitudes. Where is the love in all of this? We finished out that homeschool day, we cleaned up the mess and we leaned heavy into the weekend. We just needed a weekend of family time. No agenda. No commitments. No have tos. No school subjects. The Many Benefits of Homeschooling – Sunshiney days are always good for homeschool, wouldn’t you say? This day of spring sunshine I thought I’d share the benefits of the past week. 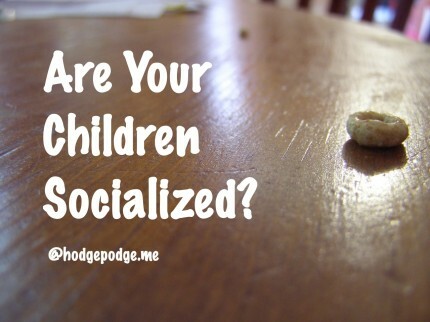 How have you taken advantage of your homeschool schedule? Oh, yes! The flexible homeschool schedule is one of the greatest benefits of homeschooling. The schedule can fit the family, not the other way around. Yes! You summed it up perfectly and are the best example of the flexible homeschool family. I am always amazed at all you do and inspired by the wonderful learning that goes on at your house! This comes at such a great time! Thank you! As a first time homeschooler this year (and former teacher) I have been wrestling with “are we doing enough of what looks like “school” “. We just returned from a surprise vacation, and since we went somewhere we had never been, took advantage of that as field trip days. We have been able to do lessons right off the bat as we returned, thanks to planning before hand. So, I think we are going okay?? You most certainly are doing okay – sounds like the vacation gave you the break needed to get right back into a learning groove. I have to remind myself sometimes too, and then we go to the park in the middle of the day and it’s abandoned and my kids can do whatever they want! Yes, I’m often a ‘slave to my schedule’ but Friday’s we have a light day which makes our week of hard work worth it. Love our ‘free Fridays’! Love the idea of free Fridays! Love Love Love this! Of the families that I see struggling with homeschooling, it’s my opinion that they need to EMBRACE the flexibility. It’s one of the great advantages of homeschooling, huh? Go when opportunity knocks…enjoy those fleeting moments between siblings…follow interests with excitement! I agree! A flexible schedule is one of my very favorite things about homeschooling!